The tail end of August has been a bit chilly at night, almost autumn-like. 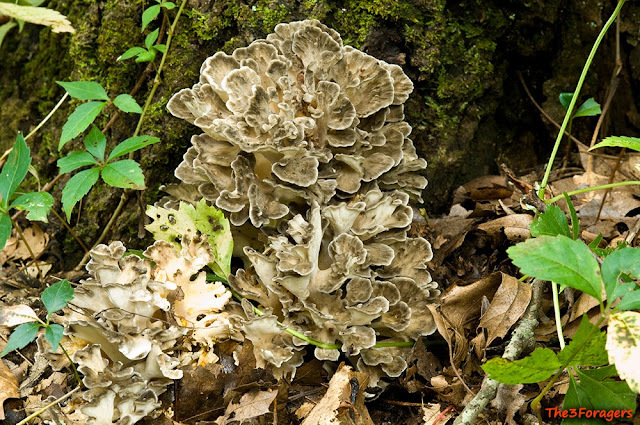 The honey mushrooms and Pholiotas started showing up last week, traditionally fall mushrooms. The Boletes have been scarce with the cool nights, along with the black trumpets. 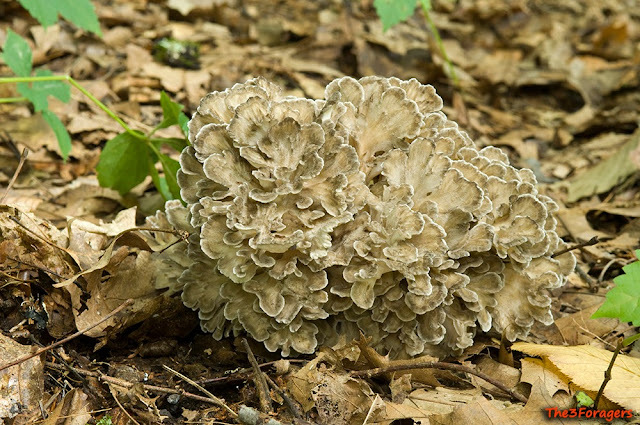 We went out to a large mixed forest today, with hopes of finding some trumpets or honey buttons to pickle, but came home with three lovely hen-of-the-woods (Grifola frondosa), or maitake mushrooms, one of our favorite edibles. Dinner was Hen Stroganoff over mashed potatoes with sliced tomatoes and cucumber salad. The dehydrator is filled with fronds and I put a container of the solid mushroom core pieces in the freezer to grind up for burgers. Robert is still smiling from his finds, and we have a fun filled and busy weekend to look forward to with the COMA Rogerson Foray on Saturday and Sunday. Hooray for early autumn! Sometimes the abundance of a seasonal harvest of wild foods overwhelms us, and we are not able to eat all we gather at once. 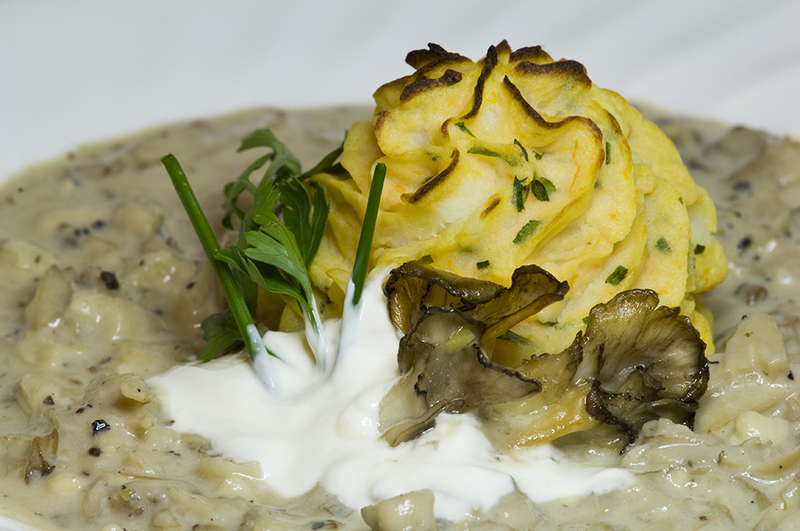 To preserve the harvest, we use several methods of keeping wild food to use at later dates. 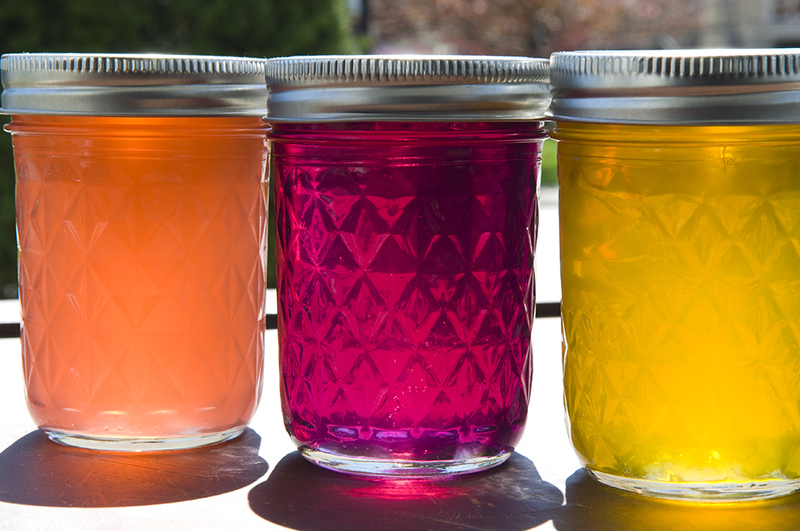 Preserving our wild harvests in jars can be accomplished in a sweet way, such as jam, jelly, and fruit in simple syrup. You'll need a few specialized items for processing and canning, like jars with proper lids and a funnel to fill the jars. 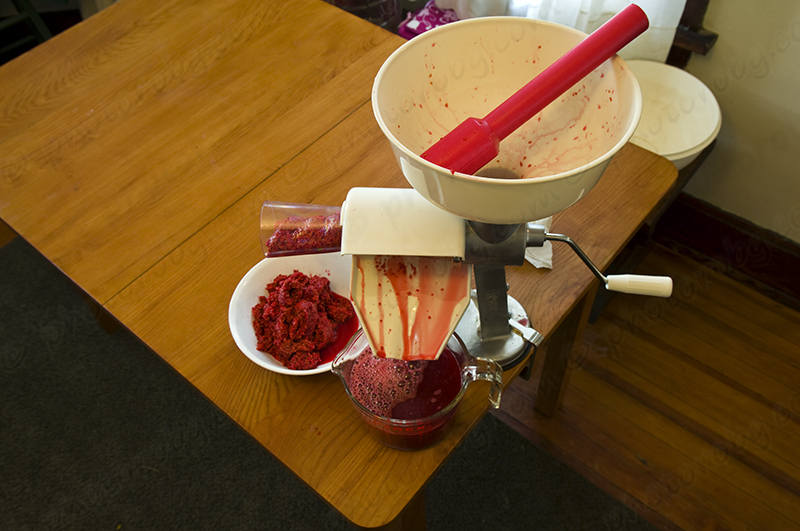 I prefer my jams seed-free, so we purchased a food mill a few years ago that has a screen to remove even the seeds from a strawberry. For canning, I just use a large stock pot to sterilize my jars in boiling water, and then to process them in the same simmering water on top of a rack so the filled jars don't rattle around. 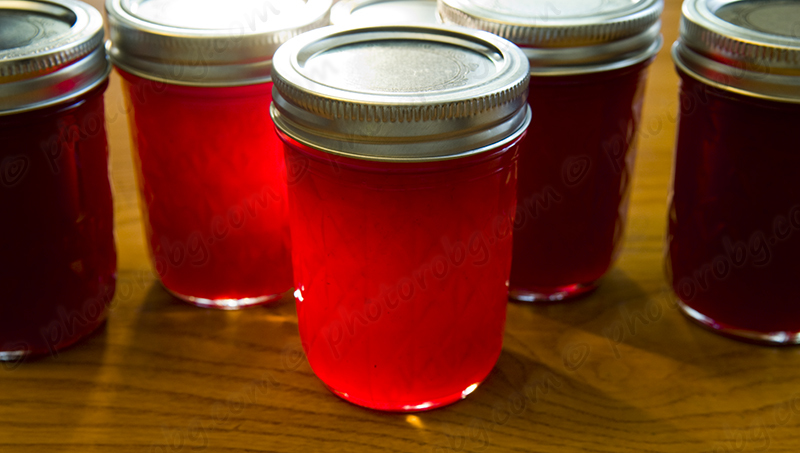 I always use pectin when making my jellies and jams because we spend a lot of time finding, picking, cleaning, and processing wild fruits and foods, and I really want my jams to be successful Doing a set-test by drizzling a bit of the jam or jelly onto a chilled plate and checking the "set" has saved me from some potential failures, since sometimes a longer boil than one minute is required to get my jam or jelly to set. I am able to find used jars and bands on Freecycle and at tag sales at great prices, and just have to purchase the sealing lids since they can only be used once. 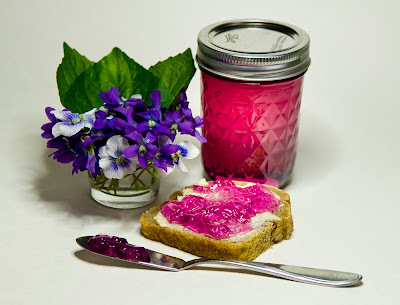 Jewel-toned jellies and sweet, pulpy jams make nice gifts, and I sometimes swap them at food swaps. 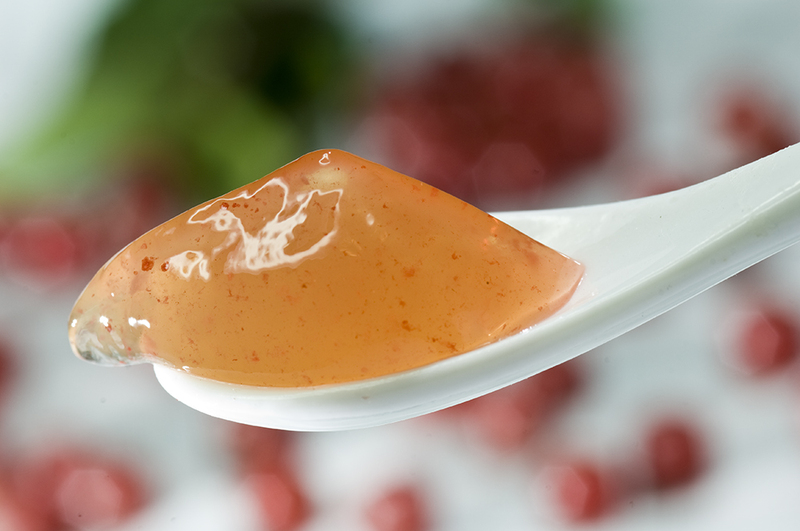 Jam and jellies are differentiated by the clarity of the product based on the amount of pulp used. 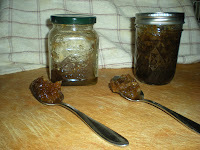 Jam is usually cloudy and thick, filled with pulp and fruit skins for texture. Jelly tends to be clear, or colored but still translucent. Both can be used on sandwiches, stirred into breakfast oatmeal, as a layer in a yogurt parfait, or as a component in a dessert. 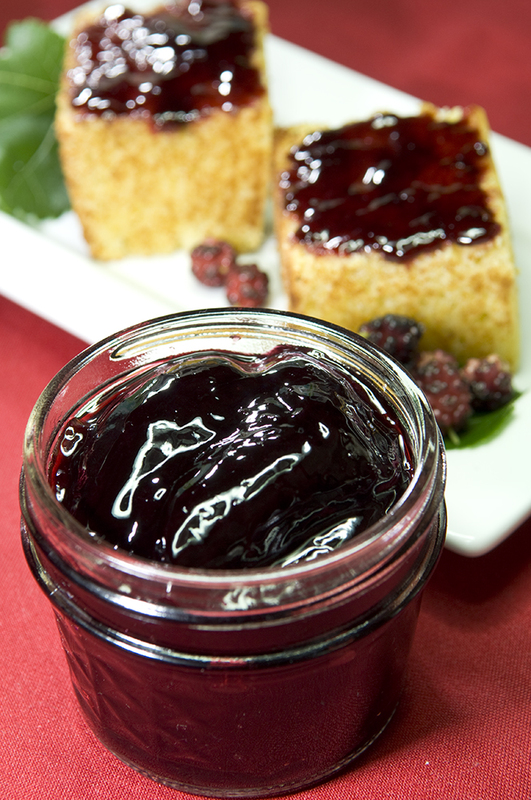 Jams are made from the pureed pulp of fruit, either raw or cooked lightly to homogenize the puree. Fruit like grapes, beach plums and wild black cherries are obvious candidates for making jam, along with the plentiful berry harvests we are able to make in the summertime. We are lucky to live in southern New England, where we have hot, humid summers that are great for diverse berry harvests, even if some of those berries are invasive species. Mulberries are found in in three varieties, red (which usually ripens to black), black, and white mulberries (which will ripen to purple). We usually make jam from the red or black mulberries, since they taste better than the insipid and overly sweet white mulberries. Picking enough wild blueberries to make some jam takes a long time, since the wild berries are so much smaller than their cultivated cousins. Wineberries make a delicious, tart, deep ruby-red jam, and sometimes we are able to harvest them at the same time as the Himalayan blackberries to make a wineberry-blackberry blend. Autumn Olives can be made into either a thick, pulpy jam that tends to spoil easily, or a clear, tart jelly. 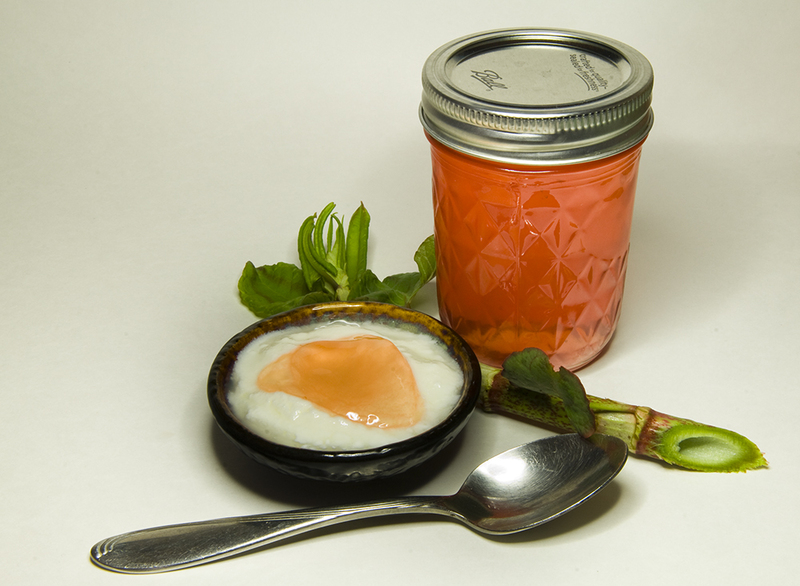 We do make one savory jam from ramps. 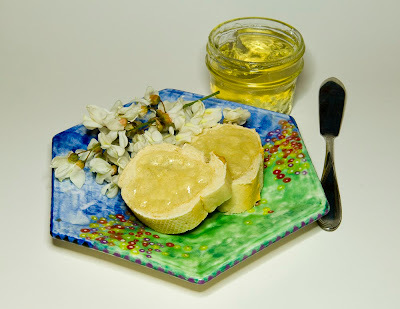 Years ago, I tasted a savory roasted garlic and onion jam made by Stonewall Kitchens. I wanted to re-create it using wild ramps bulbs in place of the onions. 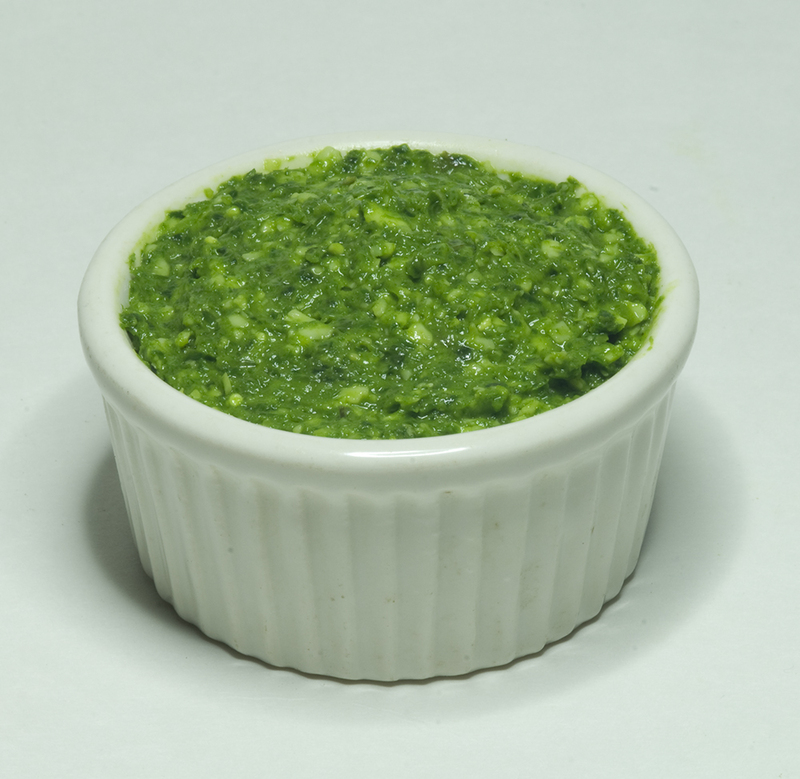 It goes really well with fatty, salty foods like brie cheese, roast beef, or bread and cornichons. This jam is one of the few recipes we are willing to dig ramps bulbs for, because digging the bulbs is unsustainable and kills the plant. We only dig what we need, and even then, no more than 10% of any patch. Many of the clear jellies we make are flower based. 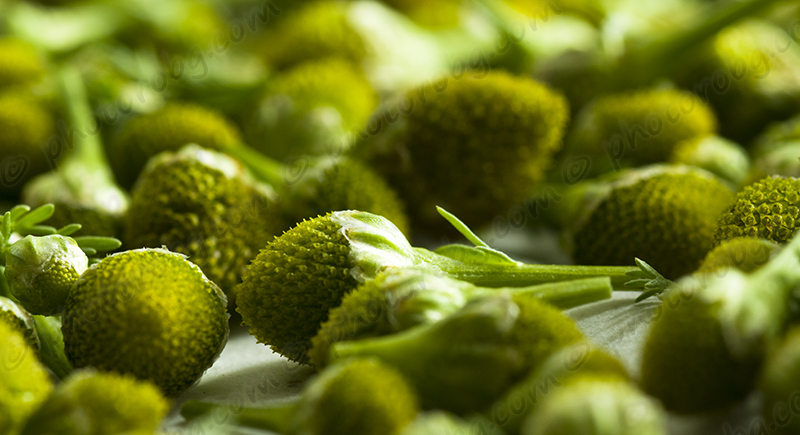 The flowers are gathered and have boiling water poured over them to make an infusion. The flowers are then removed by straining the infusion through a fine-meshed jelly bag to make a clear, fragrant liquid that becomes the base of the jelly. Some of our spring ephemeral flowers that make fragrant jellies are black locust and lilac, both of which are delicately colored and scented. 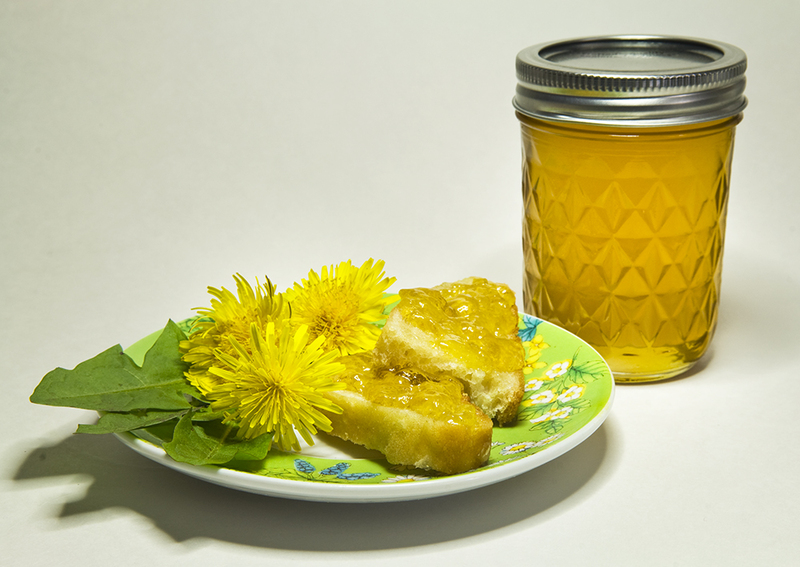 Dandelion flowers are time intensive to clean, but make a jelly reminiscent of honey, floral and golden. Violet jelly is dramatically colored, but only lightly floral. 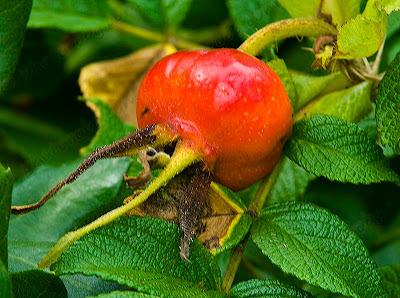 Japanese knotweed shoots and Rugosa rosehips can be made into a pretty and distinct jellies using the same method of making an infusion and extracting the clear juice from the wild food. 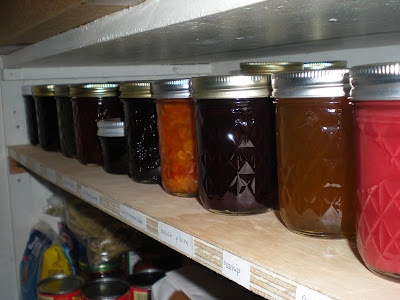 Sometimes our variety list will include about 15 different types of jams and jellies. Robert put up a shelf in the pantry to hold just some of our inventory, sized perfectly to keep the 8 oz. jars. The abundance of wild fruit and berries that we find help us to keep our pantry fully stocked through the cold winters with tastes of summer. Sometimes the abundance of a seasonal harvest of wild foods overwhelms us, and we are not able to eat all we gather at once. To preserve the harvest, we use several methods of keeping wild food to use at later dates. Using a basic dehydrator or just air drying are two more methods of preserving our foraged bounty to use all year long, filling the pantry with many jars of goodies. We own two dehydrators, one is an older, basic Ronco circular heat-based dryer you used to see advertised late at night, and the other is a small Excalibur, using heat and a fan to dry food. For some bulkier items, we just leave the food in a large, closed paper bag in a dark place for a few days to dry. We have successfully dried and saved roots, seeds, herbs for tisane, greens, mushrooms, and made some yummy fruit leather from our wild food harvests. 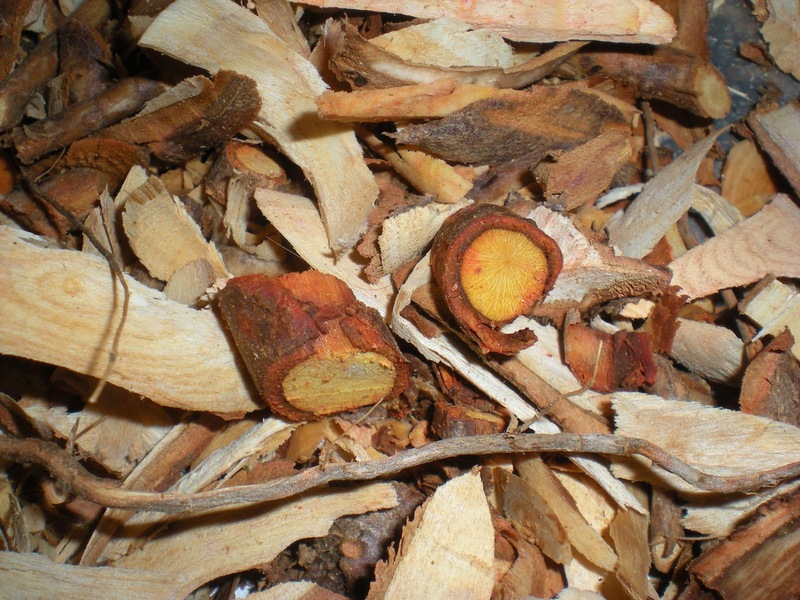 Sassafras roots can be dug during three of the four seasons here in southern New England, and they dry well to keep during the winter. We don't go out for them often, but when we come across a particularly dense stand of small saplings, we gather a large quantity for drying. Robert washes the roots and then uses a knife to shave off slices of the bark and to cut the root into small pieces. He then leaves them in a dark place to dry for a few days, and keeps the dried sassafras roots in a jar. The pieces get boiled to make a strong decoction for making beer or a sassafras drink. 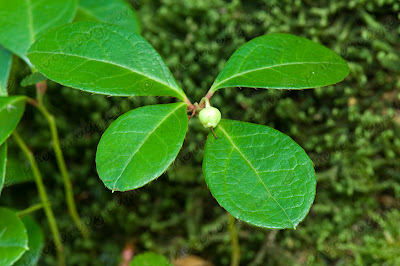 The leaves of the sassafras trees can be dehydrated and powdered to make the seasoning for gumbo, filé powder. Other roots we dig and dry are dandelion and chicory. 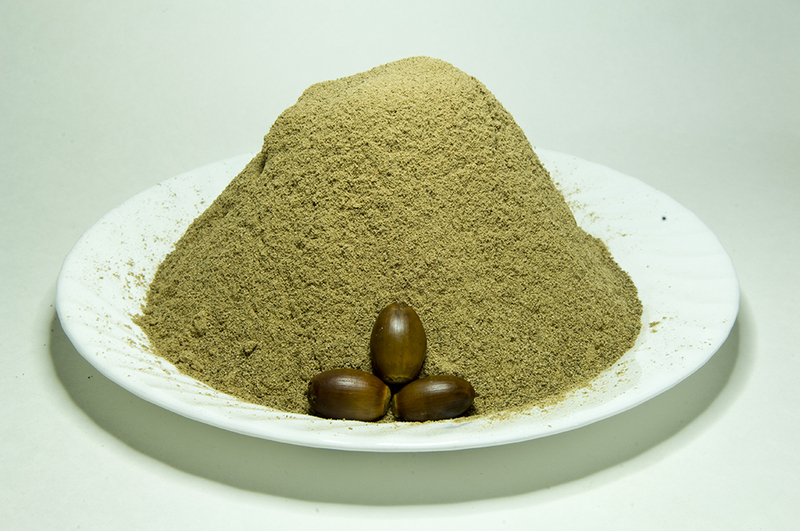 The roots get washed and gently roasted in the oven to dry, then powdered in a spice grinder to use as a slightly bitter coffee substitute. 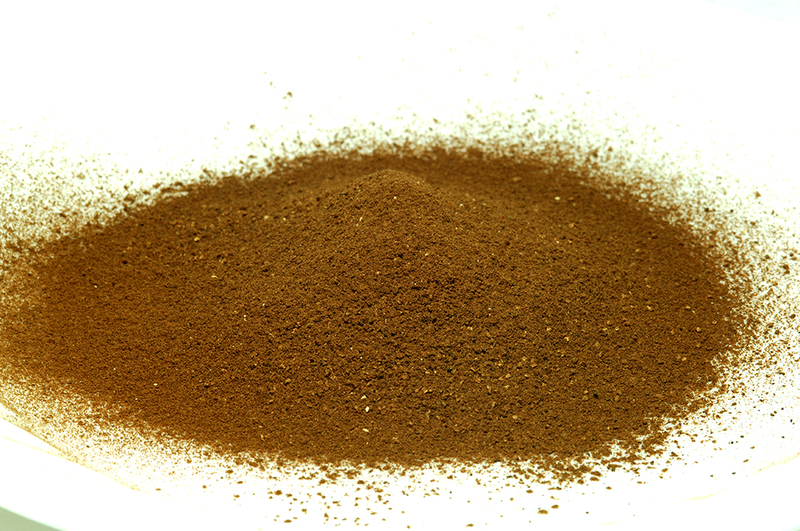 We keep the dried and ground root powder in air-tight jars. An infusion of an herb in hot water is often referred to as herbal tea, but more correctly, it is a tisane. 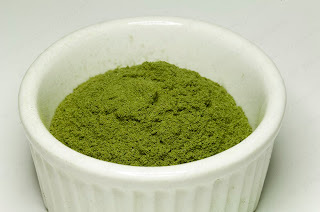 There are a few herbs we gather for hot and chilled tisanes, and they can be dried using the dehydrator, or less succulent herbs dry well in a dark paper bag. We gather the flower bracts of linden trees in spring, red clover heads and pineapple weed in summer, the red hips of Rugosa roses and leaves of bay laurel in the fall, and wintergreen leaves in early winter. The rosehips are cut in half to remove the seeds and irritating hairs, and dried in the dehydrator since they can be very fleshy and need to be dried before they start molding. 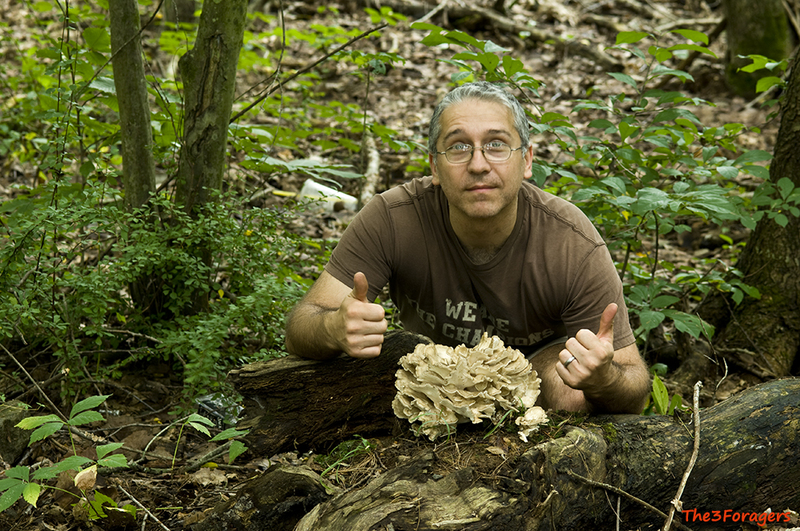 There are several mushrooms that we hunt that dry well, like bicolor boletes, maitake, honey mushrooms, black trumpets, and the elusive morels. 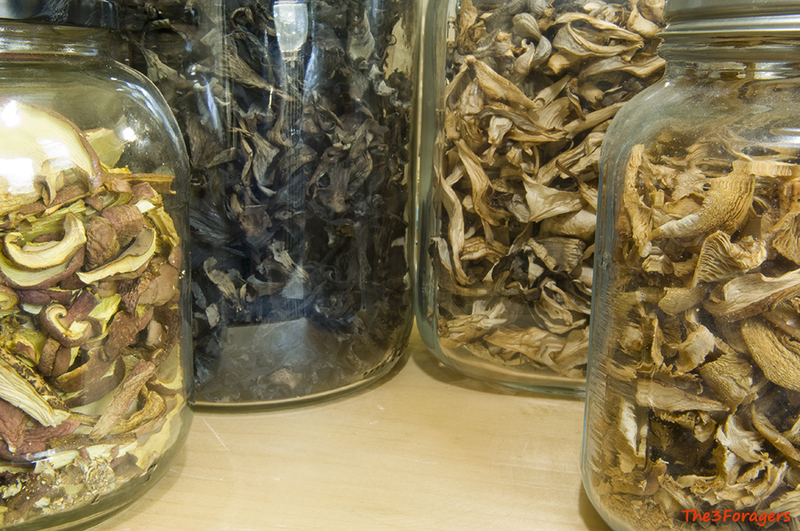 I use the dehydrator for the mushrooms, often slicing them and drying them in a single layer. The black trumpets are so thin that they can be dried whole. Once dried, many of the mushrooms can be powdered and added to dishes as an umami boost like a seasoning. 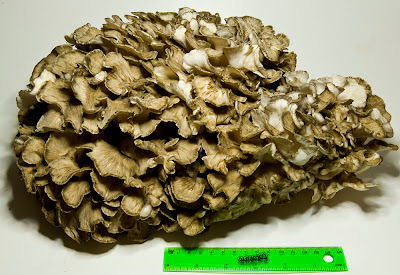 I usually re-hydrate the maitake in hot water and use the strongly flavored water to make a wild mushroom gravy.The dehydrated mushrooms can be added to soups and stews, or to the boiling water used for cooking grains like rice or quinoa. The dehydrator works great for seeds and strongly flavored greens, like garlic mustard seeds and ramps greens. We use the dehydrator for the ramps greens, otherwise they may get moldy before they dry completely. The dried seeds and greens can be used whole, or powdered and used as spices. Pollen from cattails and pines need a quick drying session to keep them from spoiling before they are stored in the freezer. 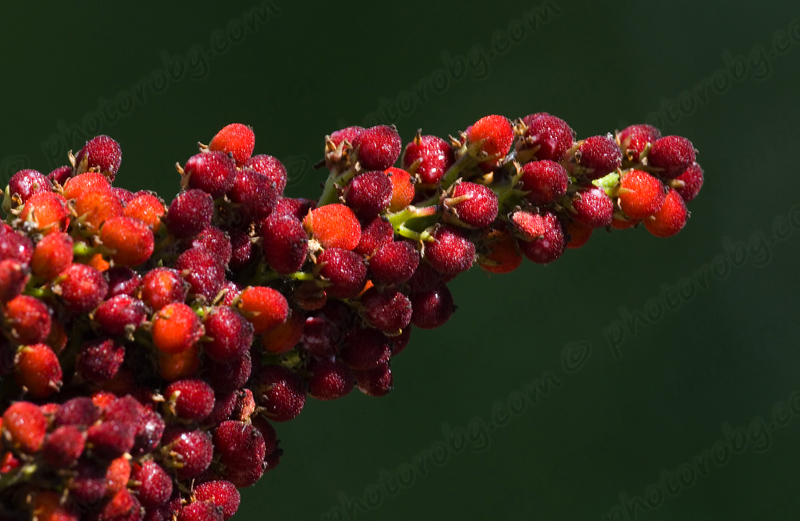 The mostly dry berry clusters of sumacs can be preserved and saved all year by drying them in a dark paper bag and storing in an air-tight container. 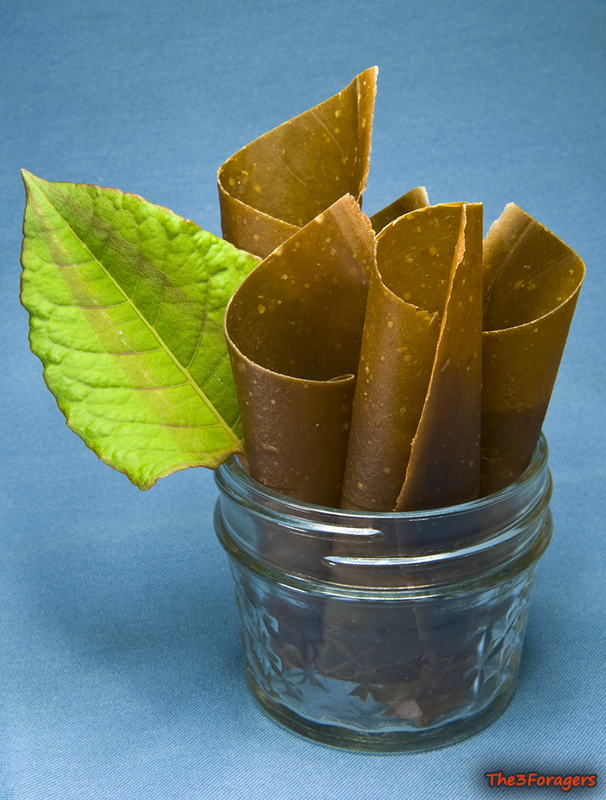 It is possible to make fruit leather without a dehydrator, but using the machine will give better and more even results. We have used the oven set on low, and even the interior of the car on a hot summer day by leaving the tray of fruit leather on the dashboard. Fruit leathers can be made from most pulpy, sweet fruits, like berries or grapes, or even Japanese knotweed. I prefer the fruit leather seedless, so I use a food mill to remove the seeds to make a thick fruit paste which gets spread over a silicone baking mat on a sheet pan, or the special fruit leather tray for the dehydrator. 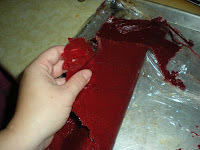 Once dried, I roll up the fruit leather and wrap portions in plastic wrap or parchment paper. Keeping dried and preserved wild foods on hand allows us to use the abundance of the seasons in our cooking, mixing flavors from the seasons to create whole and balanced, well flavored meals all year. Sometimes the abundance of a seasonal harvest of wild foods overwhelms us, and we are not able to eat all we gather at once. Sometimes I crave the iron-y taste of nettles in December, wineberries in my oatmeal in February, or a rich, wild mushroom stew in the spring. 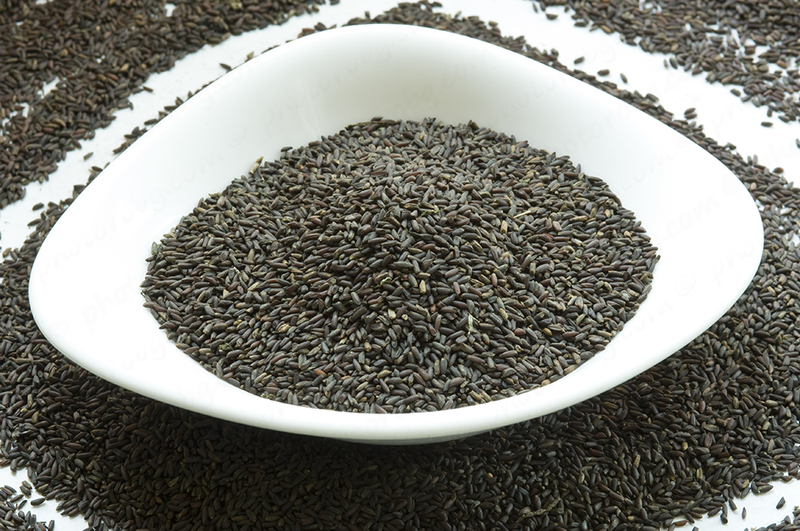 To preserve the harvest, we use several methods of keeping wild food to use at later dates. Freezing is a method of preservation we use on many different types of wild food, from greens to berries, mushrooms, and dried flours. Several years ago we purchased a small chest freezer to keep in the basement just to fill with foraged foods, and I keep an up-to-date inventory on my fridge so I can remember what we have. Keeping wild greens in the freezer can be accomplished in a couple of ways. In the spring when everyone has ramps fever, we head out to our favorite patches for the harvest. We rarely dig the bulb of the ramp plant, instead we harvest the green leaves by using scissors and snipping one leaf from each cluster of 2-4 leaves. Two ways we freeze them are by making the greens into a ramps pesto and freezing it in small containers, or by finely slicing the greens into strips (called a "chiffonade") and tightly packing them into containers. The ramps greens keep well this way, and I just have to pull out a bit to use them in soups, bagels, or any recipe where they will be cooked. 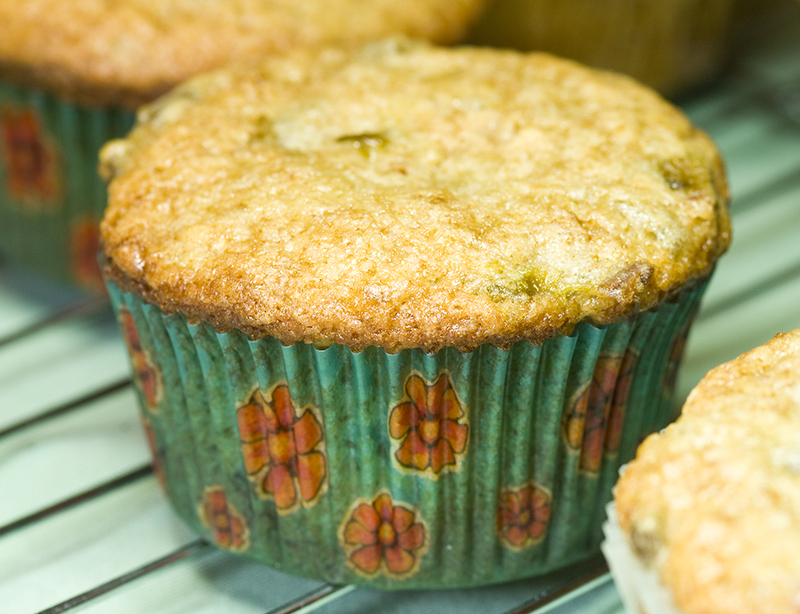 Leafy greens also keep well in the freezer, but they need a bit of preparation first. 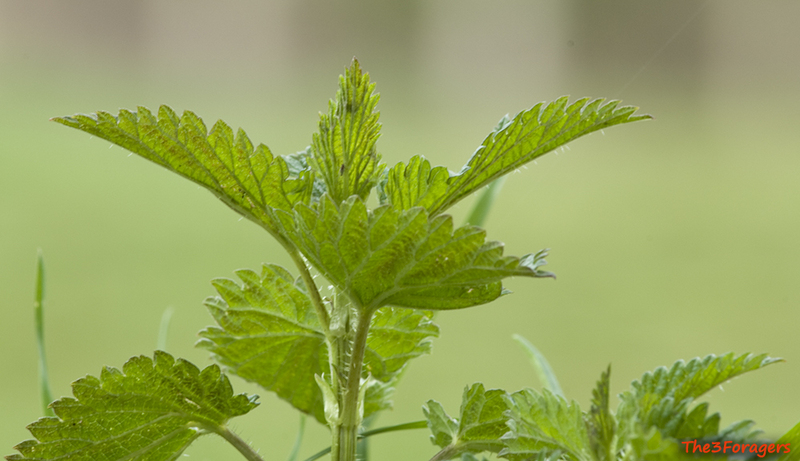 We freeze nettles, dandelions, and garlic mustard greens in thin bricks, that way I am able to break off a bit to use when I am cooking. 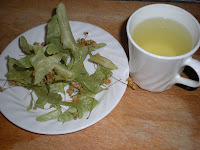 Before we freeze the greens, we blanch then for about 15 seconds in boiling water, then shock the greens in ice water. This stops the cooking process and allows the greens to keep their color and nutritional content, while removing most of the volume of the raw greens. After the greens are cooled, I wring out the excess water by squeezing them in handfuls, give the greens a quick and coarse chop, then tightly pack a thin layer of greens in a freezer-safe gallon plastic bag. 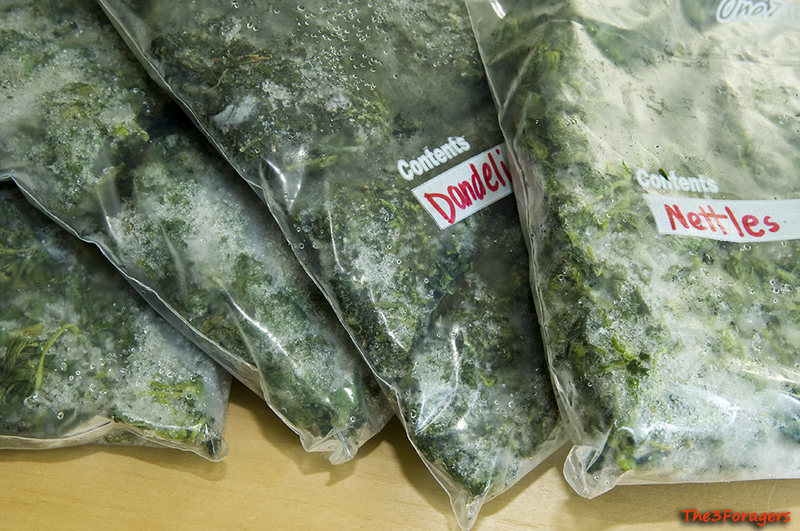 I try to freeze the bags flat on their sides, and once they are frozen, they are easily stacked or placed upright. Berries also freeze well, with a little planning. I try to Individually Quick Freeze them, or use the IQF method. We keep wineberries, blackberries, cranberries, blueberries, and non-traditional berries like spicebush berries in the freezer. To prepare berries for the freezer, I generally give them a quick wash and allow them to air-dry. 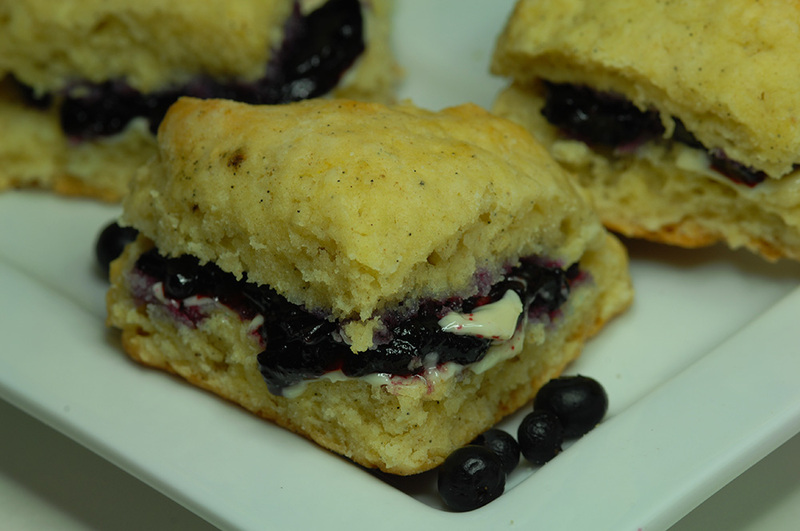 I then spread them on a single layer on a parchment paper-lined sheet pan, and put the pan in the freezer. As long as they are not wet, they will freeze individually and can then be scooped into quart-sized freezer bags. I try to remove as much air as possible from the bag to prevent ice crystals from forming, and use the berries before the next season comes around. 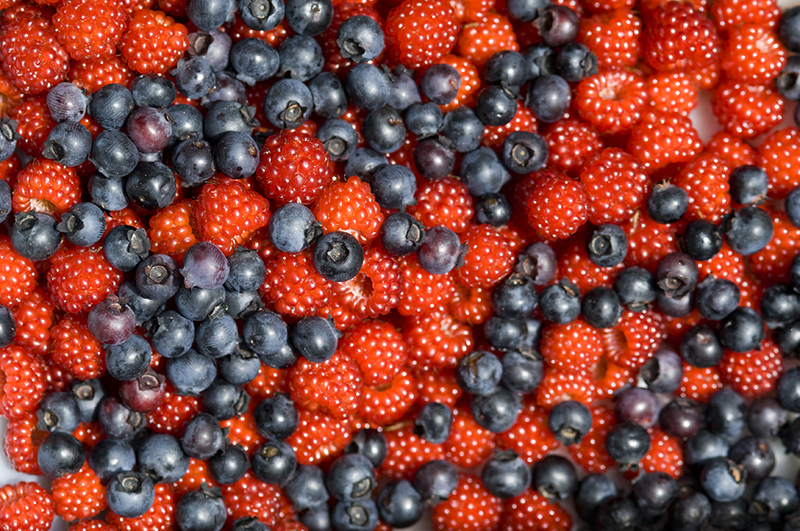 While the berries will be a little soft upon thawing, they can still be used successfully in oatmeal, pancakes, juiced, and in recipes like muffins and pancakes. It is not often we are able to find so many mushrooms that we need to freeze them, but the 3 of us can only eat so much of the larger specimens at a time. Some maitake can weigh up to 30 pounds, and often we find more than one, so freezing is one way to preserve our harvest. We also freeze honey mushrooms and sulphur shelf mushrooms. To freeze mushrooms, you can either slice and pack them into containers raw, or cook them first and freeze. I generally pack them raw, as the freezing and thawing process makes the mushroom release a lot of its liquid, which I can then reduce and concentrate while cooking with the fungi. I use the frozen mushrooms in soups and in pilafs, and stuff bread with the cooked mushrooms. 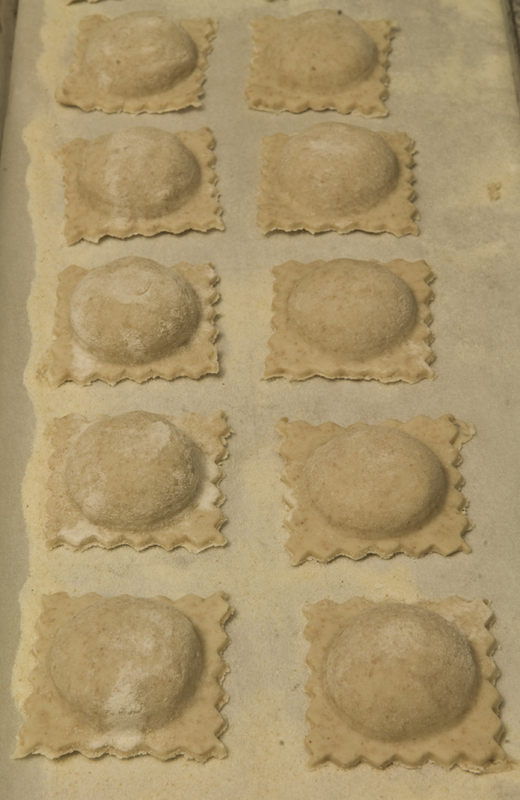 We also made large amounts of ravioli and burger patties with the fresh mushrooms, and froze them in plastic bags. Some of the more unusual things we keep in the freezer are acorn flour (to keep it from going rancid), nuts like hickory and black walnut, pine and cattail pollen, dried and powdered nettles, and the male portion of cattail flowers, removed from the stem. 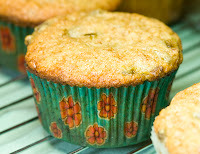 I also keep a batch of Japanese knotweed muffins and berry juice, usually surplus from jam making. There is a small container of garlic mustard seeds in the freezer as well, to use in mustard making and to sprinkle on breads. Having our abundant harvests of wild food on hand all year in the freezer enhances our meals, and reduces our grocery bill at the same time!